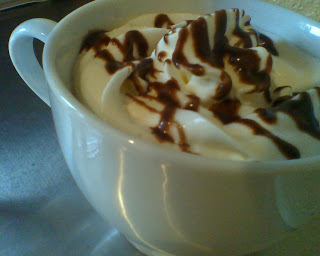 I am the freak who says,"Oh, no whip cream please" but I love it when someone squirts it into my mouth... I am just weird like that! Oh, i admit I'm the "oh NO whip cream" and love chocolate instead. But I loved your post nonetheless! "and then it hit the counter and the head broke off!" - you crack me up lol! Ya...but then i put it back on. Haha...I'm so nice.